Today we would like to share with you an offer on Panasonic NN-CT585SBPQ microwaves pallets that have been listed for sale by a British wholesaler. The appliances have been refurbished. There are 6 pallets in total, located in Birmingham, the United Kingdom. 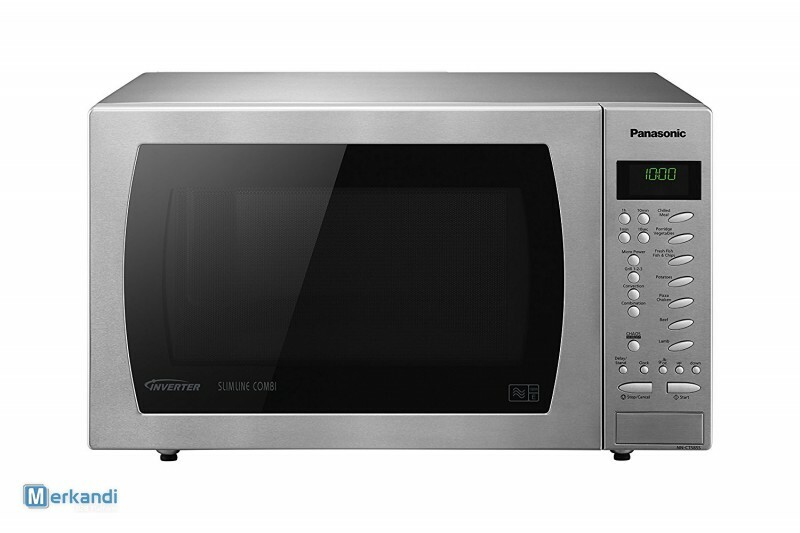 The Panasonic NN-CT585SBPQ Combination Microwave has a capacity of 27 litres. It is a fan assisted 100 – 220° 1000W convection microwave oven, with grill feature and Inverter tech constant power for even cooking. You can find out more technical specification by googling the products EAN: 5025232821211. The stock is composed of microwaves that have been refurbished. They come on 6 pallets, packed in brown boxes. They are complete with all accessories. There is a 12 months warranty on the goods. The minimum order you can place is 1 pallet, and the price per appliance is GBP 97.00 / piece. The company also has many other household appliances for sale, both brand new and used equipment.